Across the street from Turner Field baseball statium, home of "America's Team" the Atlanta Braves. Within 2 miles of the State Capitol, World Congress Center, CNN Center, GA State University, Phillips arena, Underground Atlanta, Centiennial Olympic Park, World of Coke, Zoo Atlanta, Georgia Dome and Fox Theater. 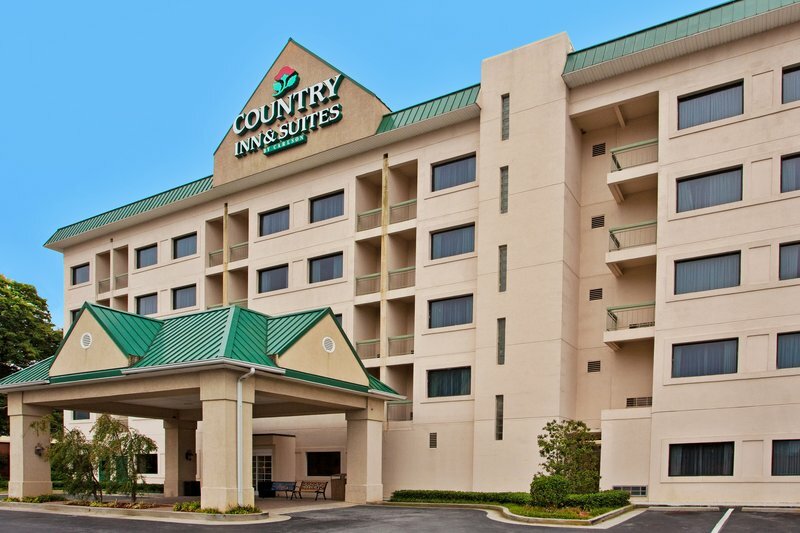 Within 5 miles of Atlanta Hartsfield International Airport, Merchandise & Gift Mart, Lenox Mall and Buckhead. Within 10 miles of Stone Mountain, Six Flags over Georgia. Within 20 miles of Atlanta Motor Speedway. Free parking, High Speed Internet access, cable TV with HBO. Meeting room up to 40. Gift shop, voice mail and pay-per-view. Full day and half day rates available on request. Accomodates up to 40 persons. Home of Major League Baseball's "America's Team" Atlanta Braves, this stadium, named after Ted Turner, offers something for baseball fans of all ages with the Braves Museum and interactive games. Built in 1960, Atlanta Motor Speedway is a 1.54-mile quad-oval track. It is one of the premier motorsports facilities in the US. It hosts two NASCAR Winston Cup races per year; the two largest single-day sporting events each year in the state of GA. Located in downtown Atlanta, this 21-acre legacy from the 1996 Centennial Olympic Games. Global Headquarters of Turner Broadcasting System and home to CNN's International News Networks. The world's largest diorama painting literally revolves around you as it depicts the 1864 Civil War Battle of Atlanta. Listed on the National Register of Historic Places, this 1929 Moorish/Egyptian/Art Deco fantasy hosts a wide range of live performances, plus a summer movie series and year-round tours. The world's largest cable-supported dome was the site of the 1994 & 2000 Super Bowls, NCAA Final Four, SEC Football Championship, Peach Bowl and events for the 1996 Olympics. Home of the NFL's Atlanta Falcons. Center of Georgia State Government. An 1889 building with a dome topped with native gold, Georgia's capitol houses many attractions. Dr. Martin Luther King Museum. Southeast's largest super-regional shopping mall & entertainment center. Georgia's only IMAX 3D Theater, outdoor Village, sidewalk cafes, unique shops & 500-seat amphitheater. Over 225 specialty shops & more! Located in Midtown, Docent-led tours feature the furnished apartment where Mitchell wrote Gone With the Wind, a movie museum showcasing the portrait of Scarlett & the doorway to Tara, exhibits & a museum shop. Part of the Register of Historic Places. This state-of-the-art arena is home to the NBA Atlanta Hawks & the NHL Atlanta Thrashers. The South's premier family theme park featuring thrill rides, Broadway-style shows & attractions. Georgia's #1 attraction offers fun for the whole family. Featuring the world's largest granite w/ Confederate carving. Many attractions as well as Georgia's only 4D theater, The Great Barn, Sky lift, Scenic Railroad, Laser Show, shopping, dining & more! Six city blocks in the heart of Atlanta that have been transformed into an urban market with 12 spectacular restaurants & more than 100 stores. The story of Coca-Cola is told through fascinating exhibits, memorabilia, classic ads and a fanciful representation of the bottling process. Don't miss the Giant Pandas of Chengdu! See gorillas, orangutans, lions, giraffes, elephants, birds & more in natural habitats. Atlanta's unique retail destination for world class shopping, fine dining & state of the art AMC movie complex. Shop Saks Fifth Ave, Tiffany & Co., & Nike Town. Special tourism & convention programming avail,including welcome presentation. Convention Arena for Merchandise display/sales.